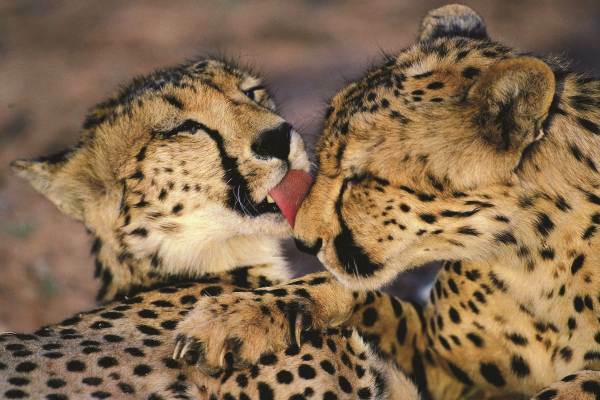 This package is for clients looking for the thrill of a Big 5 safari with mid-market accommodation. A mere 2 hours from Johannesburg, Pilanesberg provides the perfect setting to indulge in an African Safari for those with limited time. Join us on an open vehicle game drive as we track down the Big 5 - who knows you might catch a glimpse of a leopard or lions on the hunt. A side excursion to Sun city can be included on the last day. We depart between 6am and 7.30am travelling to Pilanesberg National Park, a 2 hour drive from Pretoria / Johannesburg. The Pilanesberg Park is nested in an eroded volcanic crater and stretch over 44 000 hectares, the 4th largest National Park in South Africa. As we enter the park the search begins for a variety of bird life and "the Big 5" roaming the plains of this Crater. We "game drive" the whole day, stopping at waterholes and bird hides. Lunch is enjoyed at a restaurant inside the park (own cost). After lunch we continue our game drive until approx. 16h30 where we will embark on an open vehicle sunset / evening game drive for about 3 hours. After this exciting drive we check into our accommodation and settle in, relax and freshen up for dinner. After early morning coffee and rusks the day starts with an early morning game drive until breakfast. 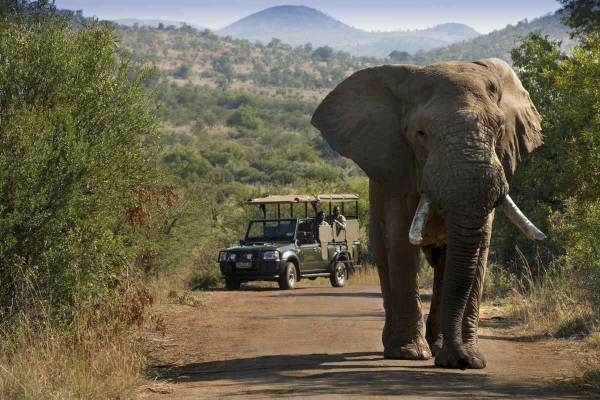 This can be upgraded to an open vehicle game drive on request with your guide and pending local availability. Or for those more adventurous there is also an opportunity to upgrade into doing an early morning bush walk safari (pending local conditions). 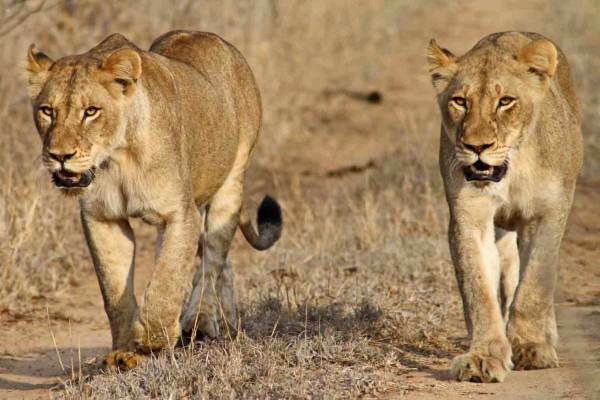 This walk entails an armed ranger guiding you on foot through Pilanesberg National Park to view animals and learn the secrets of the bush on a walking safari. After your chosen activity we have a scrumptious well deserved breakfast. We then continue our day by driving the best routes in the park in search of the animals we have not yet found. Lunch is enjoyed at a restaurant in the park (own cost). At Approx 17:00 we depart the park to arrive in Johannesburg or Pretoria, expect to be dropped at your hotel . +- 7pm. We make use of the chalets in Manyane resort. Simple, rustic but comfortable with en-suite rooms. They are designed as proper brick and wood cottages that sleep 2 to 4 guests. Each chalet has a refrigerator, private patio, tv, and small kitchenette. The resort offers a swimming pool and restaurant as well as entertainment area. We pick up from most Accommodation establishments in the Johannesburg / Pretoria area as well as Johannesburg Airport, please check the relevant times with your reservations agent. The journey to and from the park is in the comfort of an air-conditioned micro bus. You can be dropped off at your accommodation in Johannesburg / Pretoria or the Airport by appointment, if you are flying out from Johannesburg on the last day please check with your consultant if the timing works. Traffic and road conditions can be unpredictable, Johannesburg does suffer from traffic congestion - we do ask clients to remain flexible with exact timings.